Chamber Screens are flaps that open and close as the toilet seat is pressed down provideing a visual screen from the composting pile. 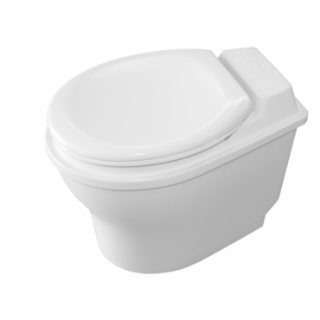 With the addition of the chamber screen, the CM2 will meet the Waterless Composting Toilet standards. This is the standard drain kit for CM2 & Sun-Mar (heated & non heated) systems that suit most situations.